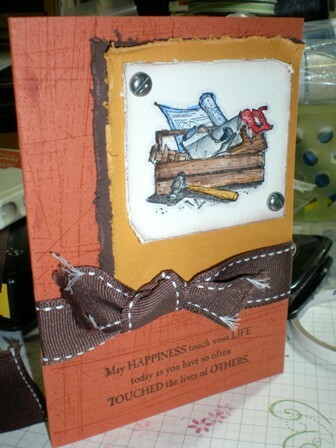 Accessories : Hodgepodge, Caramel gingham ribbon, corner rounder punch, matt pack. 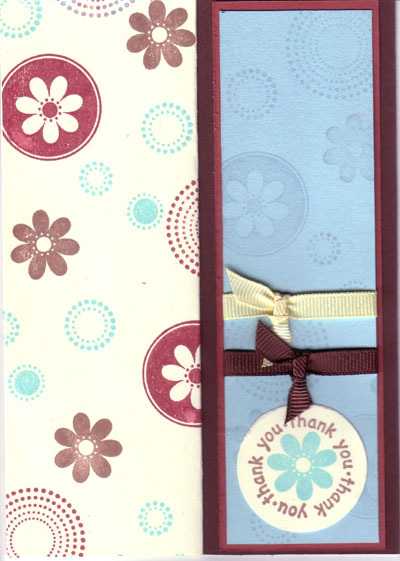 Cardstock ; very vanilla, cool carribean, cranberry crisp, chocolate chip. 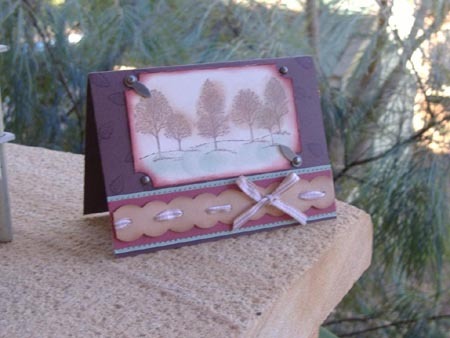 Cardstock – mellow moss (saddle stitch book), sahara sand, bravo burgundy. 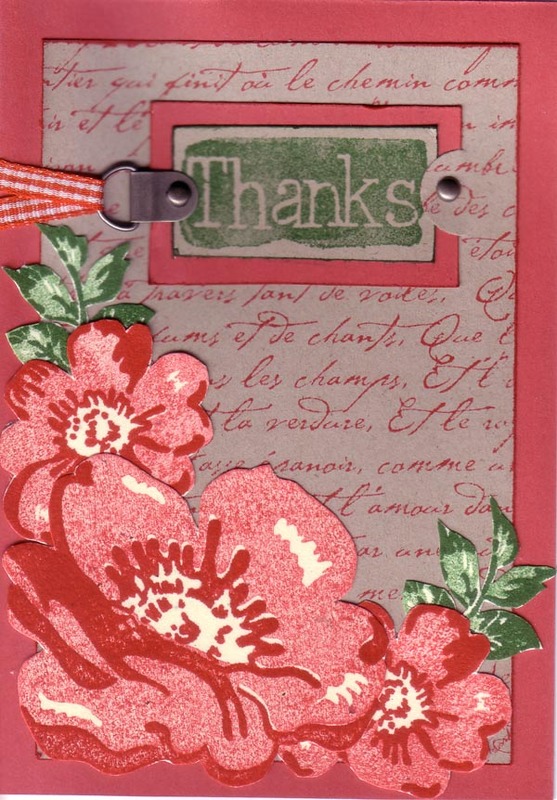 Accessories – Prep school Ribbon originals (both ribbons) , mini glue dots (for ribbon, flowers and gems), sponge daubers, bravo burgundy marker , others……. 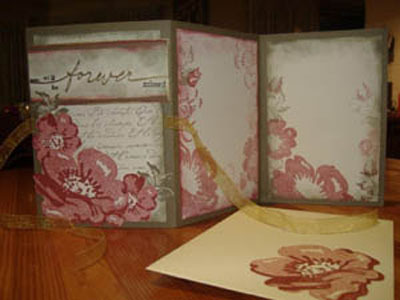 Cardstock : Ruby red, Kraft, Confetti cream. Stamps : Wild Rose, French Script, Heartfelt Thanks. Inks : Ruby Red, Garden Green.